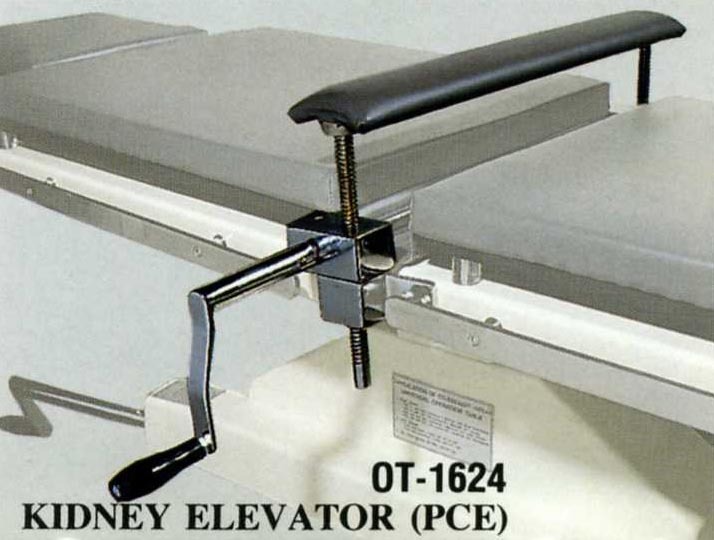 General surgery, emergency and for an auxiliary table. 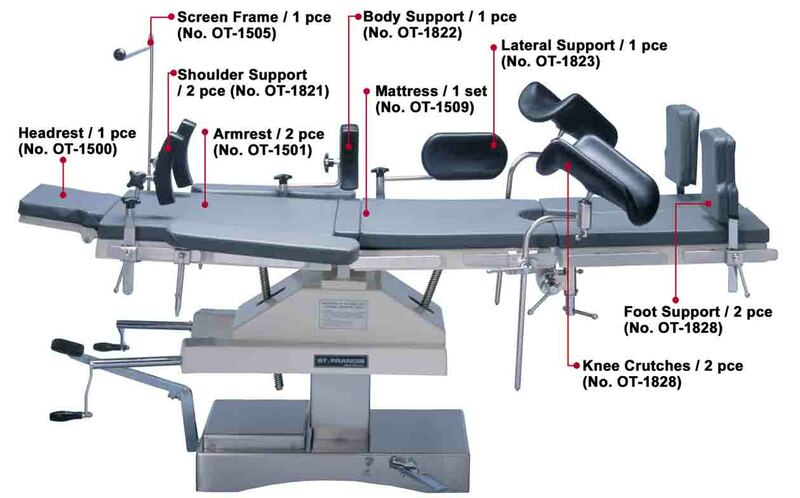 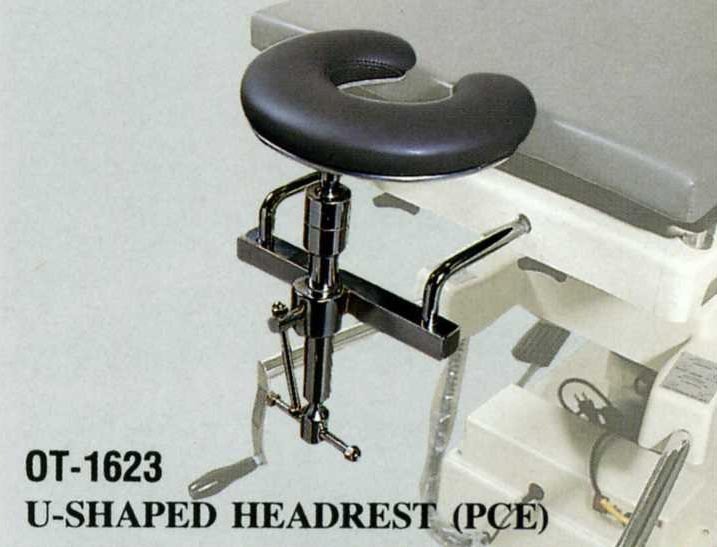 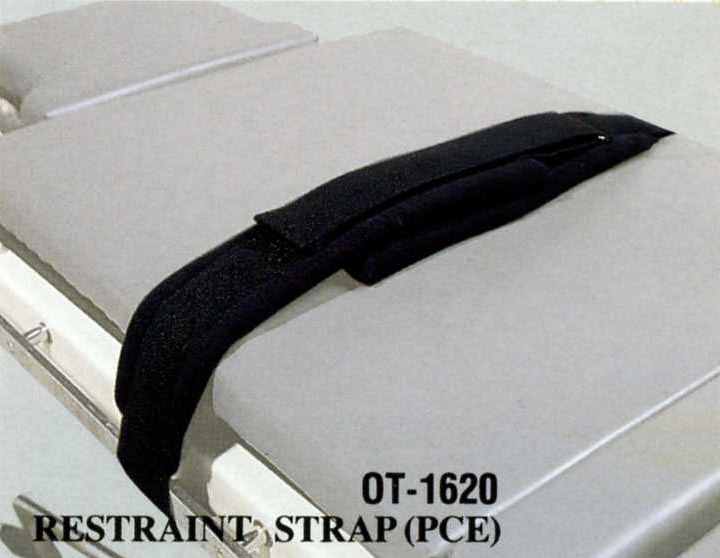 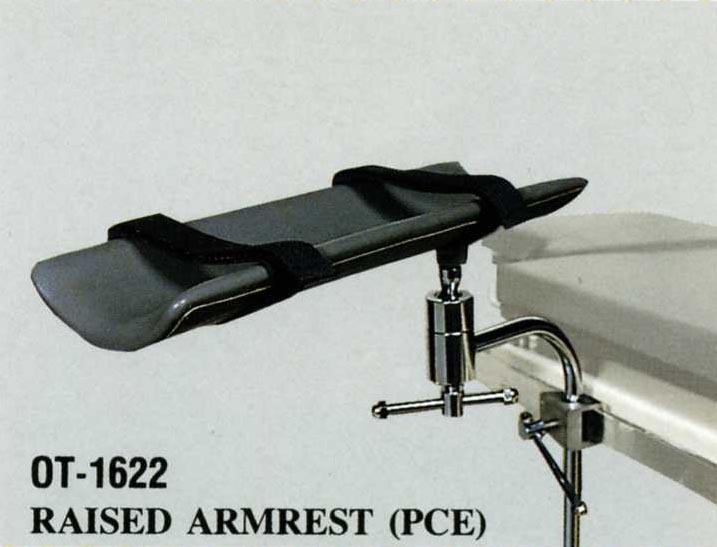 This operating table is designed to offer various position of any part of body, it can be used for general surgery such as, Gynecological position, Urologic position, Proctologic position, Thyroidectomy position Gall / Baladder position, Trendelenburg position, Reverse Trendelenburg position, Flex / Reflex position, Extension position, Full chair position, etc…..
Control the movement of table top toward left / right and ascent / descent of back and seat section with two rotating cranks under the position of headrest. 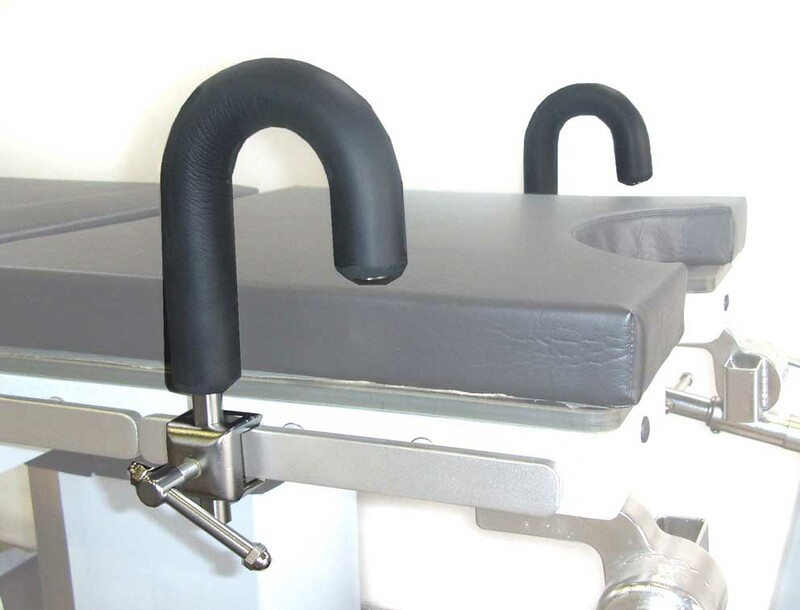 The mattress on the table top, may easily to cleaned and no blood spot will be remained. 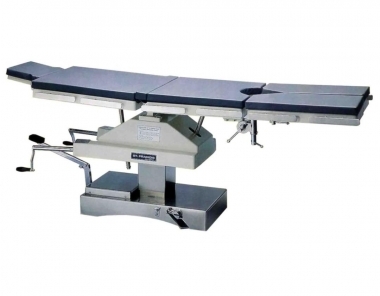 The table base covered stainless steel plate equipped with a brake facilities controlled by foot pedal as well to stop or free the table to move and there are four castors. 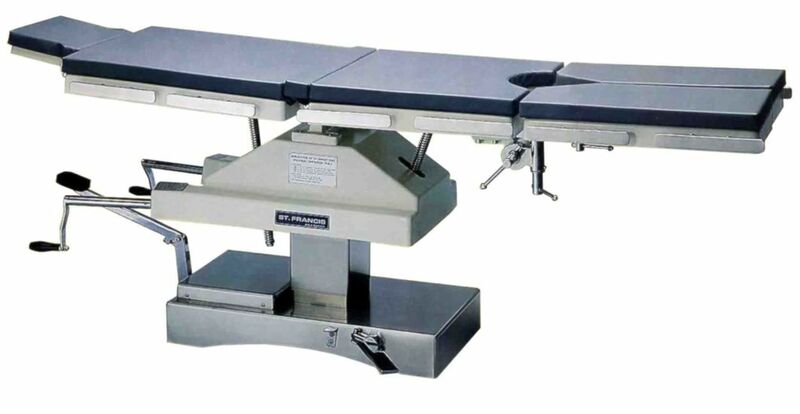 This operating table can match every optional accessories suitable for any occasion during operation. 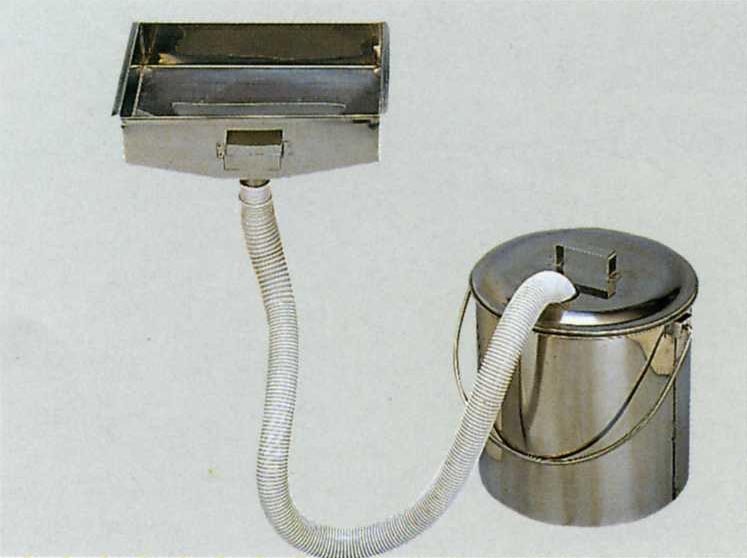 Most of the accessories are contructed by stainless steel.